When you imagine a relaxing vacation to Hawaii, I bet you picture yourself getting MORE sleep, not less! So, why did the Center for Disease Control (CDC) rank Hawaii LAST when it comes to amount of sleep in its latest Morbidity and Mortality Weekly Report? Work Schedules: Although Hawaii residents haven’t worked on plantations for many decades, old habits seem to die hard. Many workdays in Hawaii begin at 7 a.m., with an early release at 3 p.m. This schedule works wonders for those who want the afternoon free to surf, pick up children from school, or head to the beach. But, for many, getting to work at 7 a.m. means rising no later than 5:30 a.m., which is VERY early if you aren’t getting shut-eye until 11 p.m. For children, the sleep deprivation from this type of schedule is even worse, as studies show that children need at least 9 hours of sleep each night (and adolescents need to “sleep-in” because their body clocks change). Traffic: Last year, the annual TomTom traffic index rated Honolulu as having the third worst traffic congestion in the nation. This, invariably, contributes to our lack of sleep. Many commuters who live in the Central or West part of Oahu are in traffic for 1 1/5-2 hours each way per day. When you have THAT kind of commute ahead of you, you often have no choice but to get up early. 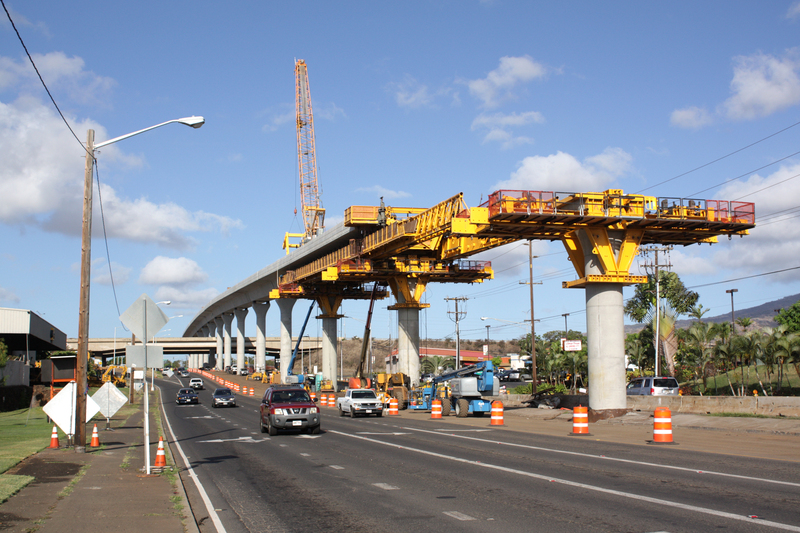 The rail project on Oahu has impacted traffic for many commuters, who complain the construction has led to even more congestion. 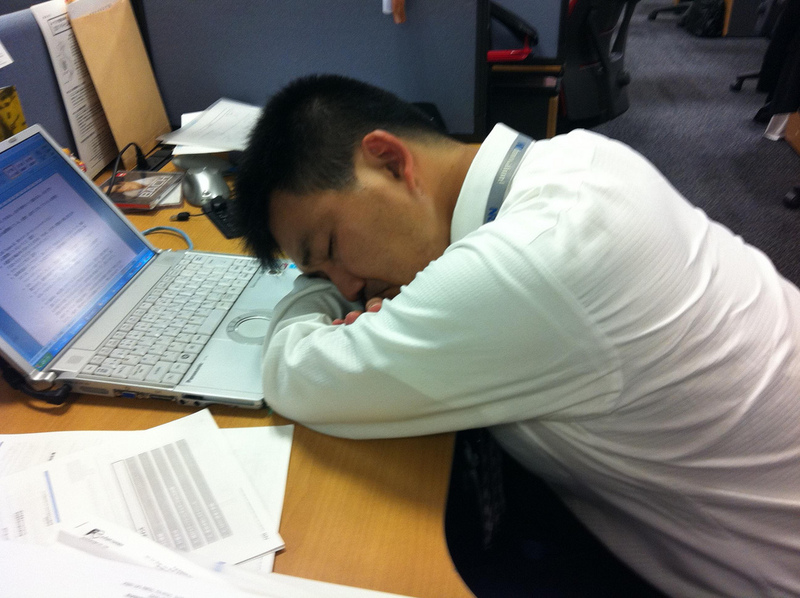 Close Quarters: When I moved back to Hawaii after several years on the mainland, I was definitely sleep-deprived, even though I had no work schedule and no commute. Why? In Hawaii, neighbors live close to neighbors due to a shortage of developable land. So, if your neighbor revvs his car engine at 4:30 a.m. to go to work, you’re often up, too! If your neighbor’s dogs decide to start barking at 5:00 a.m., there’s your wake-up call! If you live in an apartment of condo, and your next door neighbor slams his door, guess what? Time to get up! Even visitors staying in Hawaii hotels can have this problem. So make sure you request a room on a high floor away from the elevators. We Love Our Birds, But…: What’s more glorious than waking up to chirping birds in paradise? Sleeping in! In Hawaii, we are blessed with amazing wildlife and beautiful birds, but they don’t all know how to tell time. Oftentimes, people I know will complain about roosters crowing early, waking them up from sleep. And even our beautiful songbirds don’t exactly exercise courtesy when it comes to letting the humans get their sleep. Many Hawaii residents work long hours and/or multiple jobs to make ends meet. That can lead to less sleep. Long Hours, Multiple Jobs: You’ve often heard rants about the “price of paradise” in Hawaii. Well it’s mostly true. The cost of living here in high, and many folks work long hours and/or mulitiple jobs to make ends meet. That often means leaving early in the morning for one job — then working another right after. All that work can definitely put a damper on your sleep habits and can lead to exhuastion (which can also cause insomnia). Like many others, I love my sleep. But, I also love living in Hawaii, a place where getting good rest can often be a challenge. Still, I wouldn’t trade the lifestyle for all the sleep in the world — and if you lived here, you wouldn’t either!